Visiting Las Vegas is always an adventure, but I usually leave with the feeling that it can be a while before I come back. We got home from Vegas yesterday evening, and I feel like I need a vacation from my vacation. Vegas is oh so fun, but the non-stop action has left me ready for a nap, and another long weekend. Before I get back into my routine, I wanted to finish a recap of the weekend in Vegas as well as one final restaurant review, Border Grill. I’ll save that for last. First, let me tell you why I am so tired. 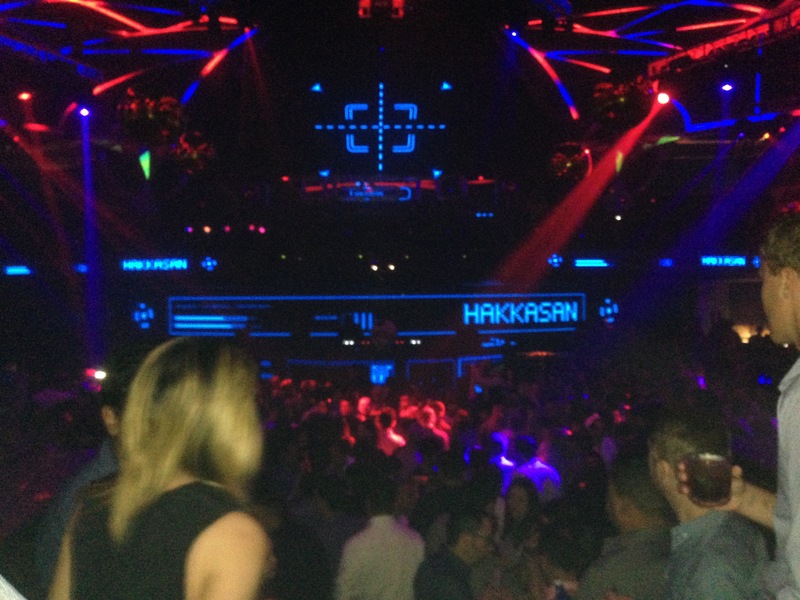 We started the weekend by heading to one of the most recommended clubs on the strip, Hakkasan. They are known for having some of the best resident DJ’s and a great atmosphere. I am definitely not a big fan of clubs. It’s overcrowded, and you can’t hear anything. Still it was fun to try something new, and if I’m going to a club anywhere, it would be in Vegas. Friday during the day we went to Daylight, which is a daytime “beach” club. Basically, it’s a club that happens during the daytime at a pool. This was actually really fun, and was way more chill that Hakkasan. Definitely more my style. Tip for anyone over the age of 25 (like me), don’t have any plans for the same evening you go to this. Your body will hate you. And finally, we ended our trip with a nice dinner at Border Grill. It had rained earlier in the day (yes, rain, in Vegas, in July), and it actually cooled the air a bit so we were able to sit outside. This was probably my favorite meal of the whole trip. 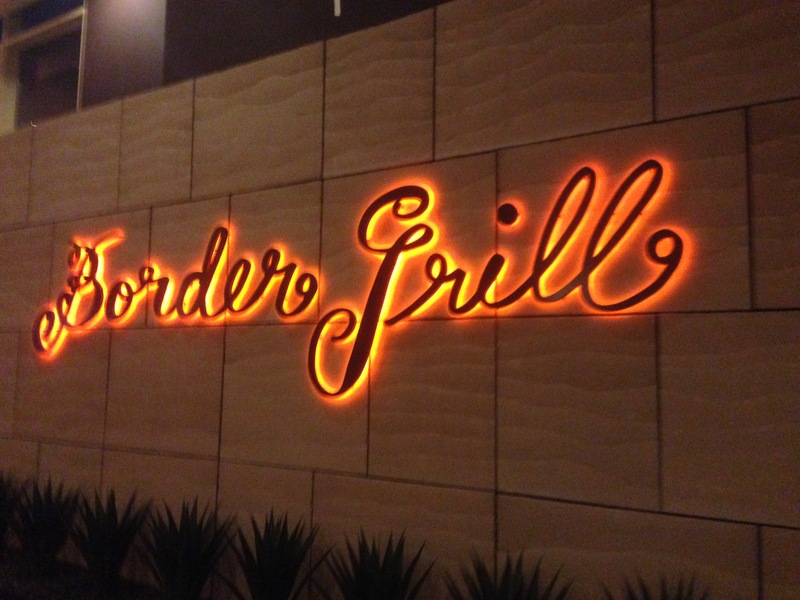 Border Grill, a “Modern Mexican” concept located inside Mandalay Bay, has a ton of GF options. The food was pricey, but if you are looking for a nicer, gluten-free, meal out, this is the place! I started with the Prickly Pear Pina Colada. I had been sticking to lower-cal alcoholic beverages all weekend, so it was time for a splurge. It was a delicious twist on a classic beachy cocktail. As an appetizer, Nick and I shared the Queso Fundido, which was a combo of melted Mexican cheeses, homemade chorizo, and peppers and onions. It was served with homemade corn tortillas. The homemade tortillas were amazing, and I probably would have been full just eating this with my drink. Sadly, my eyes were bigger than my stomach, and I ordered the chicken poblano enchiladas. They were super flavorful, but I was so full I had trouble getting through just one of them. It was a really nice dining experience and the waiter was really knowledgeable about gluten and options that were safe. Next postBefore Summer Is Over….